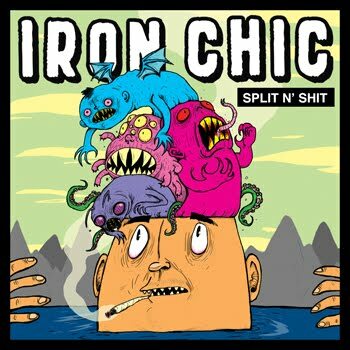 Although Iron Chic present an easy-going and uncomplicated musical sound scape, there is something underneath here that communicates a bit of melancholy on the part of the songwriters. Similar to Not the Bees (which I reviewed yesterday), there is that maturity to this brand of pop punk that comes off very listenable. The record starts out with a beautiful twinkly guitar riff and sets off on a melodic course. Vocally these guys never really go off key, but there is an unpolished reality to them that is relate-able. The melodies here are very spaced and straight forward, accented by some tight drumming that never gets too showy, but always brings you to the right place. Guitar leads and dual vocal harmonies provide that special layer of goodness that will get these songs stuck in your head. There's three original songs and one Bikini Kill cover on here. I could have done without the cover. Check out the whole thing here.